Augmented Reality (AR) has been widely used in areas such as medicine, education, entertainment and cultural heritage to enhance activities that include (but are not limited to) teaching, training and amusement, through the completion of the real world with viewable and usually interactive virtual data (e.g. 3D models, geo-markers and labels). Despite the already confirmed AR benefits in the referred areas, many of the existing AR systems rely on heavy and obsolete hardware bundles composed of several devices and numerous cables that usually culminate in considerably expensive solutions. This issue is about to be tackled through the recent technological developments which currently enable the production of small-sized boards with remarkable capabilities – such as processing, visualization and storage – at relatively low prices. Following this line of reasoning, this paper proposes and compares five different multi-purpose AR mobile units, running Windows or Android operating systems, having in mind low-cost and lightweight requirements and different levels of immersion: a laptop computer, two tablets, a smartphone and smartglasses. A set of tests was carried out to evaluate the proposed unit performance. Moreover, a set of users' assessments was also conducted, highlighting an overall acceptance regarding the use of the proposed units in AR applications. 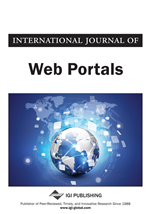 This paper is an extension of a previous work (Pádua et al., 2015) in which a conceptual architecture for mobile units - complying with AR requirements (including visualization, processing, location and communication) for indoor or outdoor utilization - was presented, along with a shorter set of lightweight and cost-effective AR mobile units and respective performance tests. Augmented reality (AR) has been widely used to enrich the real world with virtual contents, stimulating learnability in several areas such as medicine, education, entertainment and cultural heritage. However, many existing AR systems rely on heavy and obsolete hardware bundles composed of several devices and numerous cables that usually culminate in considerably expensive solutions. This issue can be tackled through very-large-scale integration (VLSI) technology, which, over the years, has enabled the production of increasingly smaller-sized integrated circuit boards capable of carrying built-in or attached electronic components such as sensors or processing units. The range of devices taking advantage of the compression capabilities of VLSI vary from mobile units such as smartphones and single board computers (SBC) to visualization components such as head-mounted displays (HMD). Notwithstanding, the VLSI technology that has been responsible for shrinking electrical components and devices has been accompanied by a reverse effect regarding technical specifications, which means that in addition to miniaturization, there is also a tendency for more processing capabilities, larger memory and higher storage capacity at lower prices. Considering the referred trends, the authors proposed a conceptual architecture for mobile units that aims at the inclusion of a complete set of components for several purposes such as visualization, processing, context acquisition and communication for client-server operations (Pádua et al., 2015). In Pádua et al. (2015), a set of lightweight and cost-effective AR mobile units implementing the aforementioned architecture was also proposed. Then, a discussion was presented about some performance tests that consisted of measuring the frames per second (FPS) of distinct scenes loaded with a variable number of vertices and objects, in different moments and runtimes. Thereby, assuming the clear commitment of extending the work presented in Pádua et al. (2015), some novelties are introduced in this paper. First, the number of proposed setups (AR mobile units) was enlarged. A wider set of tests was then carried out to evaluate the performance and user satisfaction, comfort, presence and immersion. Their results will be presented along with the extended set of setups. The proposed AR mobile units were planned to be applicable to several contexts rather than be confined to cultural heritage or archaeology, despite the strong relation with the MixAR project scope (Magalhaes et al., 2014). In a succinct definition, MixAR is a project supported by an adaptive mixed reality system to promote archaeology and cultural heritage, composed of mobile units, a server and a network infrastructure and aims to provide the in situ visualization of 3D building reconstructions superimposed onto ruins. Regarding organization, this paper’s content is divided into seven sections. The next section provides an overview of the related work in mobile augmented reality systems/units (MARS). In the third section, the authors' previous work is revisited (Magalhaes et al., 2014) for contextualization purposes. The fourth section reintroduces the AR mobile units’ architecture along with some hardware setups presented by Pádua et al. (2015). Additionally, some new setups are presented, based on the referred architecture. Performance and user tests on those setups representing different mobile units are discussed in the fifth and sixth sections. Finally, conclusions are presented in the last section.